Please choose one. Polls close 11:59pm on Feb. 28. You didn't accept my nominations of "City Hall Plaza" and "Fan Pier" ? They're added now. I had the images uploaded and meant to include them, but I just overlooked them when I built the thread. I'm sure I made a few other mistakes as well. If anyone notices one, please let me know. In that case, can you rescind my vote and let me vote again? All of those which were something of some use in their previous state, are now parking lots or otherwise useful in some way. The Kensington lot is the only one with zero use that was something. Thus, I say Kensington is the worst. The Columbus Center parcels are vacant. 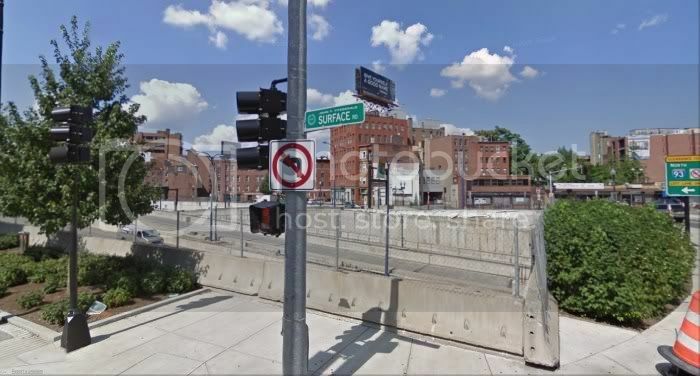 I'm not sure what the Boston Garden parcel is used for -- it isn't a public pay parking lot as far as I can tell. 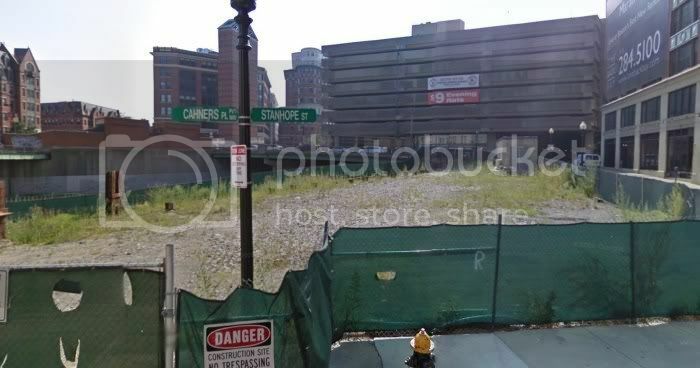 But, as far as I know, the Columbus Center parcels were merely the grassy sides to the Pike they were intended to be before the project started and then died. Boston Garden parcel is used for team/show/band buses and game/show staging. Let me look into it, Ron. 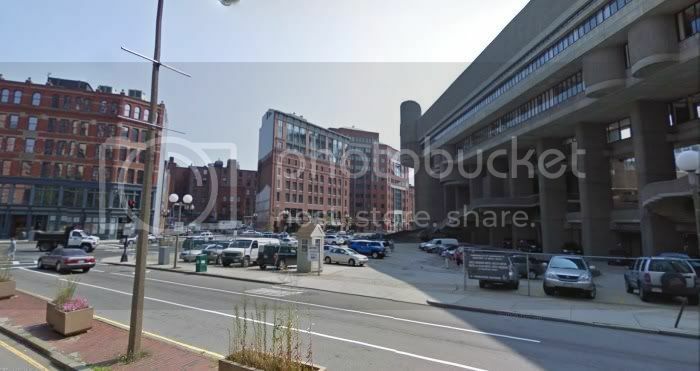 I'd say if there's a glaring empty lot at this intersection, it's the one across the street next to the Bulfinch Hotel. 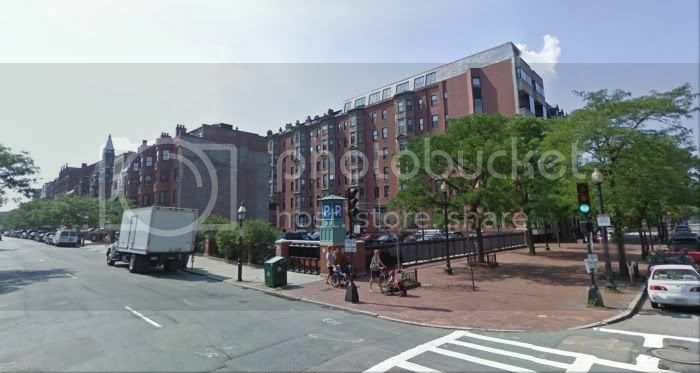 I'd call the Newbury & Dartmouth one the 'Least Bad Empty Parcel' because it is at least screened from the adjoining streets by a decorative iron fence, and it is only a minor break in two otherwise intact streetscapes. Some of the other parking lots could learn from this one. 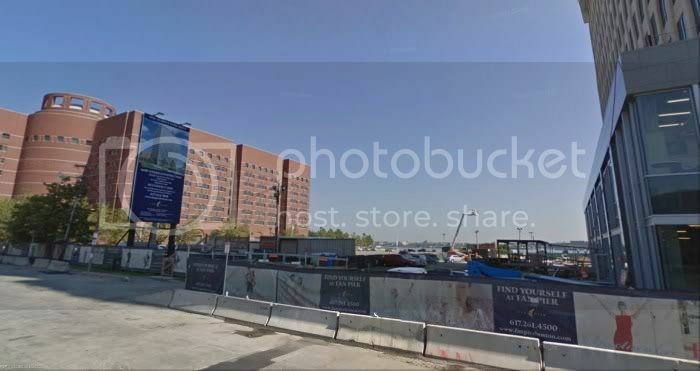 As for Merrimack and Causeway, I'm not necessarily attached to the idea of building on it, but its current use and appearance are a visual blight. The original wording of this award was "most detrimental vacant lot." Hallmarks of the "lipstick on a pig" school of landscape design. I agree with this logic. My 2nd place vote would go to the Former Boston Garden lot. ^^I see the logic but it is dangerous. 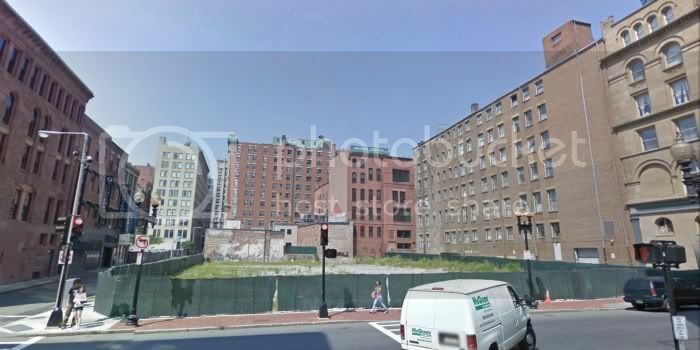 The more revenue a property owner gets from a vacant lot, the less pressure they have to develop that lot. Another reason surface level lots should be discouraged/banned in cities. My first vote would be for Filene's to defend its title, if that was available. That is clearly the most damaging one at the moment, for many different parties and for many different reasons. I'm also bitter that we lost out on a cool tower. I voted Columbus Center. We had a viable project to cover part of the pike stalled such a long time through meetings and approval processes that, by the time everybody gave it the green light (everybody except Ned), it was no longer feasible to build due to higher construction costs. A nice new tower for the skyline and progress in stitching the city back together, foiled by UFP's. Hi. After you added City Hall Plaza and Fan Pier to the list of choices, you were going to show me how to rescind my vote and vote again, but I still don't know how to do this. Ron, see if you can re-vote now. But I voted for Hayward Place. Interesting to see the Old Garden parcel win this, as it's so little discussed on this forum compared to Kensington, Hayward, Fan Pier, and the Greenway ramp parcels. ^ No hope for this one. That's the difference. When was the last time there was any serious discussion of even a proposal of anything on the site?